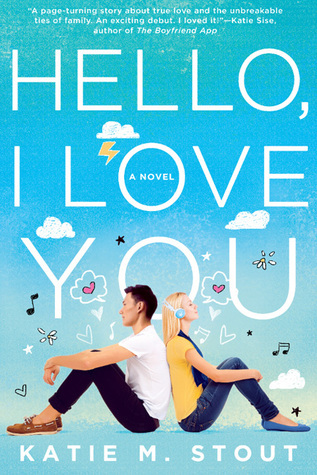 I read the synopsis for Hello, I Love You and oscillated between loving the idea and dreading the entire thing. This novel sounded like the KPop section of Tumblr got together and decided to write a novel. I knew going in that this was either going to be amazing or fall flat and this novel did both. The beginning got off to a bumpy start but I adored the last 30% and the ending made my heart flutter. Hello, I Love You got off to a rocky start. Neither the Korean setting nor the culture was adequately described. Much like Anna and the French Kiss, this novel is set at a boarding school with classes taught in English. Unlike Anna and the French Kiss the Korean setting didn’t come alive like Paris did. It took me a while to warm up to the place. The process of getting to know the country, and the culture, was really hampered by the main character, Grace Wilde. She moves to Korea for all the wrong reasons and complains about the smells, the food, the people, everything. I didn’t understand how she couldn’t be at least a little excited to be in a new place and have a fresh start. It also didn’t help that the love interest, Jason, is a K-Pop superstar that Grace can’t stop fighting with. These two characters had so many fights and arguments that every one of their tiffs felt irrational. I couldn’t even really tell they liked each other until over half way through the book. It made it hard to root for their relationship. Overall, I was not a fan of the beginning of this book but the novel slowly grew on me. I liked that Grace underwent some major character changes and did slowly fall in love with both Korea and Jason. The cover of the book is really eye catching. I wanted to read this one but I'm not really into Kpop and I just don't know about it. Your review makes me kind of weary but I think I might give it a try but it definitely is not on the top of tbr.